The Quality Indicators for Learning and Teaching (QILT) has ranked UOW as the best overall university in Australia. Awarded the 2015 Australian Financial Review Higher Education Award for graduate employability. 5 Star rating for the 15th year in a row in the 2016 Good Universities Guide for Student Retention, Getting a Full-Time Job and Teaching Quality within NSW. 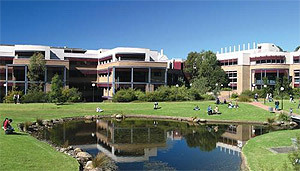 For more information you can visit UOW Website.